What is your role at Poynt? I’m a founding software engineer focusing primarily on web, mobile, and data engineering. How can commerce be improved? In a perfect retail environment, every party leaves every transaction happy — the consumer, the merchant, and the merchant’s B2B suppliers, vendors, and bank. Value can be maximized for each of these parties with best-in-class technology, communications channels, and data insights running on a secure, open platform. How do you help Poynt fix commerce? I help create tools that empower merchants to organize and optimize their business, application developers to reach the merchants who need them most, and merchant banks and distributors to provide the highest level of support and protection for their clients. What is one superpower you wish you had? I wish I could summon food to my desk (I’m looking at you, Chipotle). What does fun look like for you? Being surrounded by people laser focused on each other and a common goal — whether it’s climbing a mountain, celebrating a milestone, or building the best product and company we possibly can. It’s a fact: Charles scored in the top 0.1% in the country on both the MCAT and LSAT. 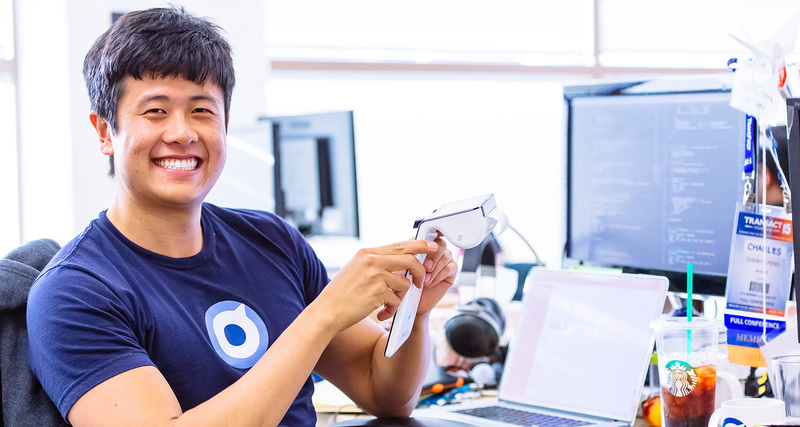 Work with Charles in Engineering or check out the rest of our opportunities to join our team of super passionate people driven to fix commerce - Poynt Careers.